If this is your first time looking to employ a cleaning service provider then this post will guide you as to what should be expected. Trustworthiness and credibility is critical of what is expected of a cleaning service provider. If you’re going to allow a complete stranger into your home a level of trust is expected. It is a good idea to check online reviews and ratings before committing resources. Every client deserves to know what he/she is paying for in a particular. Let me explain, many times cleaning service providers don’t explicitly say whether or not they offer their service with cleaning materials or not. It’s very typical for clients to expect the service provider to take care of every aspect of the cleaning only to be disappointed when told too late they need provide cleaning equipment’s and complementary materials. It’s therefore imperative to verify the details of your package before commitment. A level of professionalism is expected. As the saying goes, time waits for nobody. In this time and age that statement hasn’t been truer, clients are busy with their various life schedules. 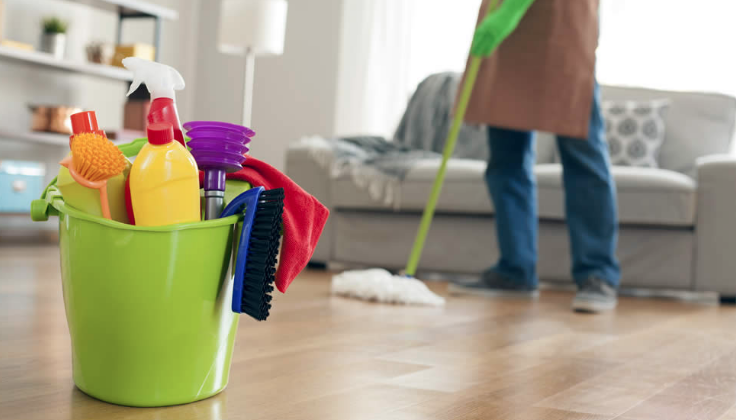 A cleaning service provider is expecting to arrive on time and work swiftly within the allocated time. A key component of professionalism is ethics and respect. The services provider must be courteous and respectful to the client at all times. The service provider is expected to carry out his/her job in a professional manner, meaning to perform the task without any complaint. Many at times cleaning service providers fall short of leaving a lasting impression on clients, not because they didn’t get the job done but because they didn’t exceed the expectation. There have been several cases when a client books for certain aspects of his space to be cleaned, an example is a curtain. Average cleaners would clean only the curtains but good cleaners would dust the blinds as well. Good cleaners go the extra mile, some even change sheets, clean glass doors, and make sure they don’t leave the house without its ceilings being cobweb-free. Others place special attention to the skirting boards, to bring out its sparkling feature. At the end of the day, this is what separates the average cleaning firm from the good. A smile they say, can turn a dark night into a bright sunny day. Every client wants to be left with an impression that lasts in their hearts. A good cleaning service provider would leave you wanting more and it certainly starts with a warm smile. Experiences are little gestures made consistently, such as being friendly with the clients pet, making recommendations on the best cleaning materials to use for the clients dedicated taste in fabric, suggesting how certain cleaning products are more efficiently utilized. A good cleaning service provider would do this and so much more.